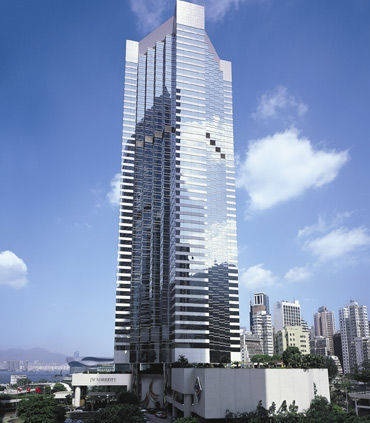 Refined luxury and modern convenience blend seamlessly here at the JW Marriott Hotel Hong Kong. Boasting a central location in the Admiralty area of the city, atop Pacific Place Mall and moments from the Hong Kong Convention and Exhibition Centre, our hotel welcomes you with 602 beautifully designed rooms and suites and an unmatched level of service. Settle in to your luxury accommodation and enjoy free Wi-Fi access, 24-hour room service, modern technology, and marble bathrooms. Many of our hotel rooms offer superb views as well. Relax with a dip in the heated outdoor pool, which is open year-round, or stay fit at our fully-equipped 24-hour health club. Choose from eight on-site restaurants, bars and lounges, each with their own distinct personalities. Host an event in our pillarless hotel ballroom - the largest of its kind in Hong Kong - and be amazed by our impeccable planning and catering services. For luxury without compare in the heart of the city, join us here at the JW Marriott Hotel Hong Kong.